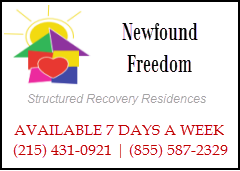 Newfound Freedom offers a variety of recovery locations throughout Bristol and Levittown, PA, each of which being designated as either a “Phase 1” or “Phase 2” residence. Each location is gender-specific and is structured and designed to instill core recovery concepts into the individual’s daily living. Phase 1 locations are intended to extend from day-one of sobriety through the 6-month mark. Phase 2 locations are then offered for those seeking to move into a bit less structure, yet with some level of ongoing support and community. 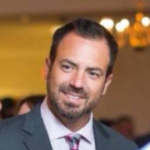 Meet Scott Fleming, founder and executive director at Newfound Freedom Recovery Homes. Having personally battled and persevered through addiction and alcoholism earlier in life, Scott made the decision in 2003 to dedicate his personal and professional life toward helping others navigate through the dark world of chemical dependency in a way that was unfortunately not available to him during his own struggles. The objective was to create an effective and proactive recovery environment that was able to essentially create new patterns for living and acting, while maintaining a level of affordability that nearly anyone could meet. 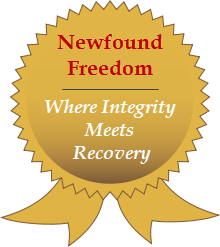 Today Newfound Freedom represents the lifeblood of Scott’s vision and has since become among Pennsylvania’s most highly regarded network of multi-phase addiction recovery residences & sober living homes..
Newfound Freedom is wholly committed to helping men and women experience the gifts of sobriety by encouraging an integrative recovery process that positively affects all aspects of their lives. Our dedication to the recovery process entails providing highly respected and well structured sober living homes within an affordable pricing structure. This is who we are; this is what we do; this is how we do it... Welcome to Newfound Freedom! Copyright © 2014 | Newfound Freedom Recovery Inc.